Dear students, the workinggrpup ecosystem analyse offers multiple BSc/MSc Thesis by the University Koblenz-Landau. 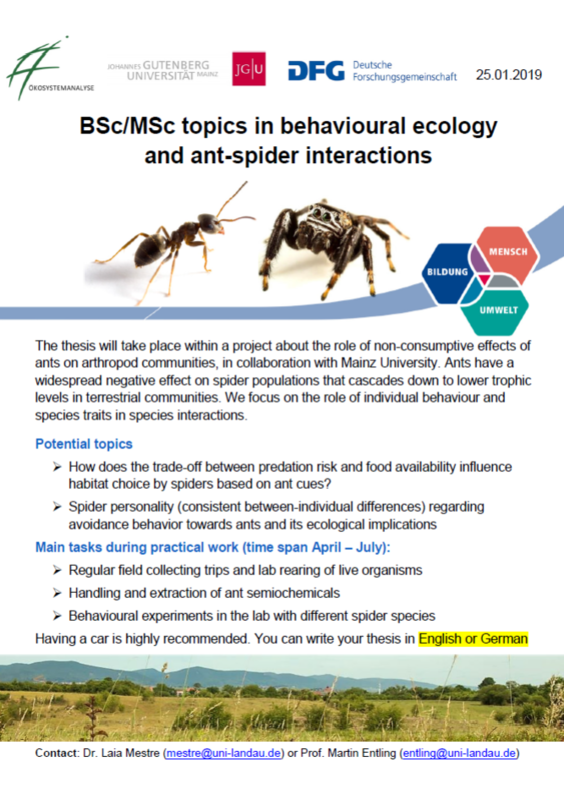 The topics include:„How does the trade-off between predation risk and food availability influence habitat choice by spiders based on ant cues?“ and „Spider personality (consistent between-individual differences) regarding avoidance behavior towards ants and its ecological implications“. For more Information, please contact: mestre@uni-landau.de or entling@uni-landau.de .